From your computer or smart device to your customer’s smartphone: A business changer, TeleCare saves time, increases the quality of care, and drives the conversion of patients with hearing loss to satisfied customers. Introducing full live remote tuning. TeleCare now offers full live remote tuning so you can fine-tune patients’ hearing aids in the real-life situations for which they are intended. After the personal first fitting, follow-up appointments can be held online via video call, much like a virtual home visit. This allows professionals to adjust the hearing aids for the most natural individual sound quality in real time and at the patient’s convenience to keep the trial on track. Remote fitting in natural situations. TeleCare enables use of the most powerful fitting software, Connexx, fully remotely from a PC or laptop. Offering full live remote tuning and video call, Connexx is synchronized with the TeleCare portal for support in patients’ natural surroundings. Help on the spot, much like a virtual home visit. 1. Rely on the most detailed data for a successful trial. The ability to monitor indicators such as wearing time, program use, and situation classification allows you to better predict successful outcomes and intervene where neccessary. 2. Provide the best support with full live remote tuning. Deliver revolutionary customer care by solving issues remotely after the personal first fitting to keep the trial on track. Current instrument status on program, volume, situation classification and noise level helps you to fine tune the hearing aids optimally in any situation. 3. Communicate face-to-face with your customers, wherever they are. 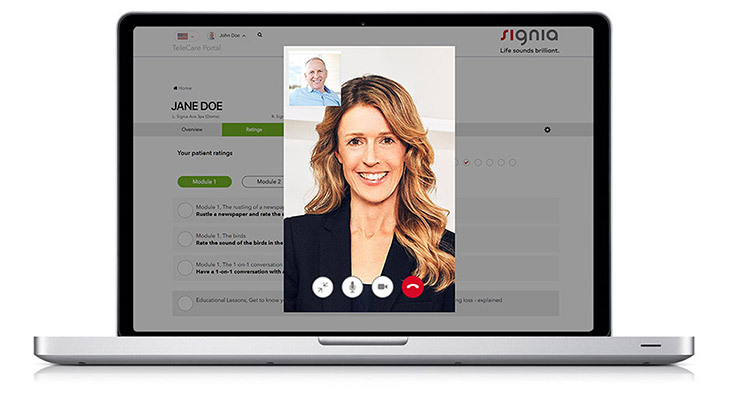 Real-time video calls as well as text and voice CareChat capabilities enable easy and direct communication with your customers. 1. The hearing care professional in the pocket. The virtual home visit is available for all patients with an iOS or Android device via the myHearing App. In addition to guiding them through the trial process, the award-winning app* now serves as the hearing care professional in their pocket, with them every step of the way. 2. Helps handling new hearing aids. Remote control options plus easy access to frequently asked questions and a user guide help wearers get used to new hearing aids faster. 3. Fast and clear hearing success. Engaging step-by-step listening exercises and guided assistance help wearers get familiar with their new hearing aids faster than ever before. The most challenging period of adjusting to new hearing aids is typically the first few weeks. 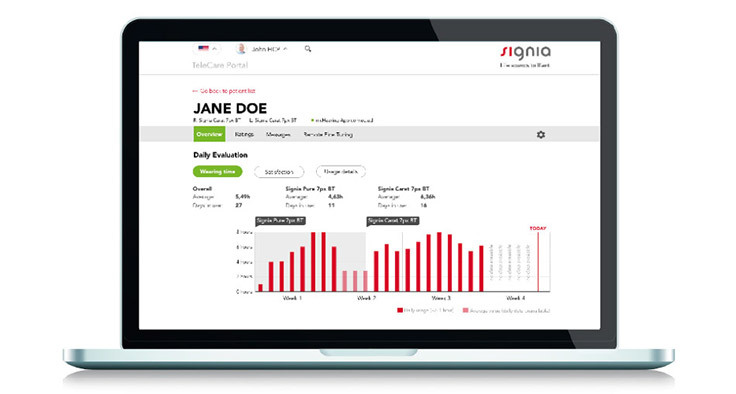 In order to manage the critical moments effectively and to increase patient satisfaction, Signia TeleCare is the perfect hearing care tool for the trial period. Use TeleCare, show your customers how to download the myHearing App on the Google Play and Apple App Store, and experience the range of benefits TeleCare offers you both. ** Field test conducted in 2016 in the United States and Germany by Sivantos to evaluate the effectiveness of TeleCare with 25 practicing Hearing Care Professionals and 150 of their patients over four months. 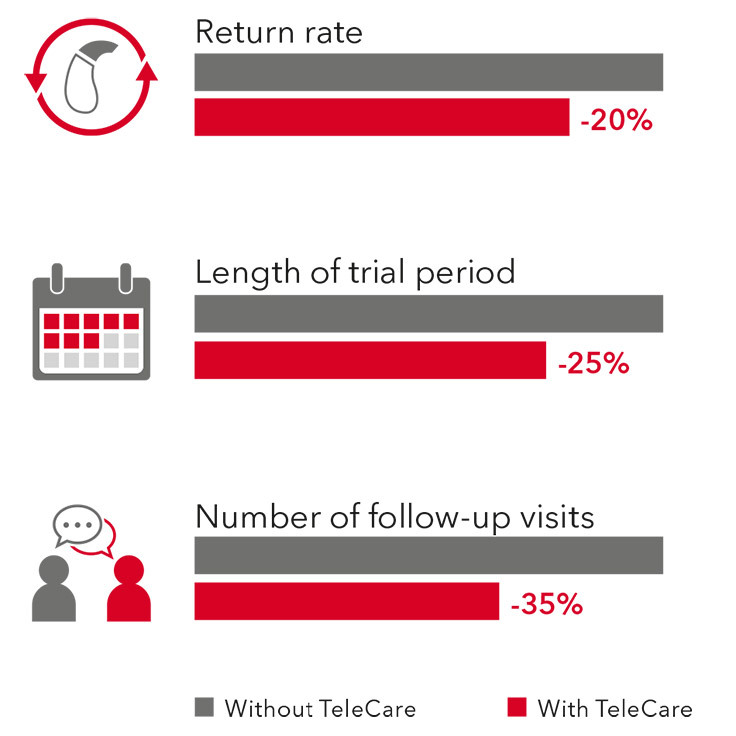 Results show that when using TeleCare, the average hearing aid return rate, the length of the trial period, and the number of follow-up fitting appointments decreased compared to not using TeleCare. The results of the study are presented within the paper “Signia TeleCare – the Future of Hearing Care Starts Now”. Available in our Scientific Library. 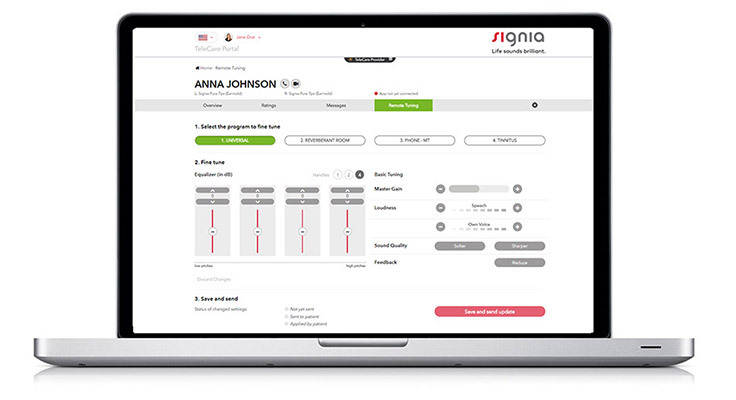 *** Full live remote tuning and tracking of wearing time, program use, and situation classification are available exclusively with Signia Nx.